MANILA, Philippines—An Italian company has complained that the bids and awards committee of the Department of National Defense (DND) awarded a P5.3-billion contract for the procurement of military aircraft to a Spanish firm despite questions on the bidding process. 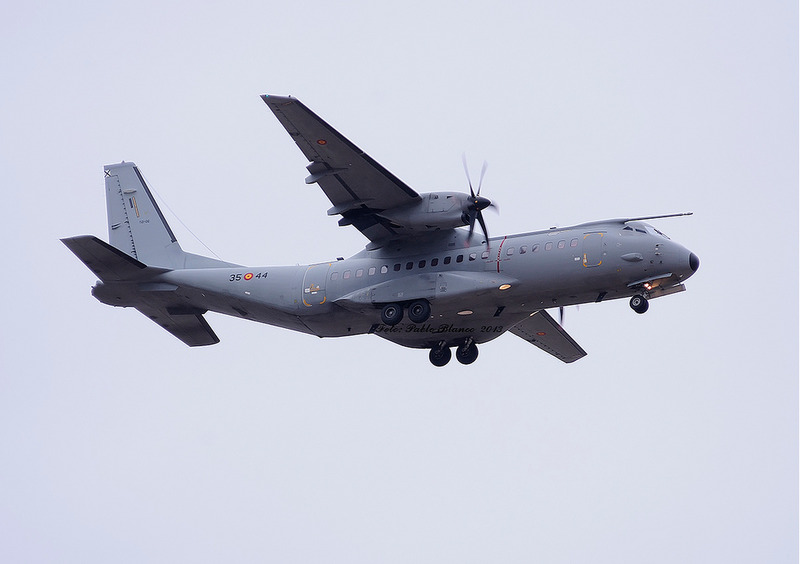 In a letter to the DND, Italian firm Alenia Aermacchi said the Spanish company Airbus Military should have been disqualified from the bidding for the procurement of three medium-lift fixed-wing aircraft because it failed to disclose its business relationship with PT Dirgantara, an Indonesian company that also joined the bidding. Defense Undersecretary Fernando Manalo on Friday said a notice of award had already been issued to Airbus Military and the contract for the procurement of the military planes would soon follow. But Alenia said the DND should have nullified the Spanish firm’s bid for violating the prohibition in the government procurement law regarding conflict of interest among prospective bidders in government projects. “A simple perusal of the company websites of both PT Dirgantara Indonesia and Airbus Military shows that the two bidders … are strategic partners in the production of the (military planes) CN 235 and CN 295,” Alenia said in a Jan. 16 letter signed by Roberto Pierdominici, the firm’s regional sales director. The Inquirer tried to get a comment from DND spokesperson Peter Paul Galvez on the issue, but he did not answer calls to his mobile phone. In an earlier interview with reporters, Defense Assistant Secretary Patrick Velez said the DND would only award the contract to Airbus Military after all the issues raised against the Spanish firm had been settled. A representative of Alenia, who asked not to be identified for lack of authority to speak with the media, said the defense department had yet to answer its questions regarding Airbus Military’s bid. Citing a press statement, the Italian firm said Airbus Military itself admitted that the development of the CN 295 was a product of its “strategic partnership” with the Indonesian firm. “(T)here is thus no doubt that the relationship of the two bidders … is a conflict of interest … Clearly, the bidders have a direct relationship that puts them in a position to have access to information about or influence on the bid of another bidder or influence the decisions of the procuring entity regarding this bidding process,” Alenia said in the letter, a copy of which was sent to Executive Secretary Paquito Ochoa Jr.
“Worse, both bidders denied the existence of the relationship upon express request of clarification by the bids and awards committee during the opening and evaluation of the bids,” it added. Alenia had initially participated in the bidding for the military planes held on Nov. 11, 2013, but the DND declared a failure of bidding after admitting that it failed to publish the supplemental bid bulletin a week prior to the opening of bids.